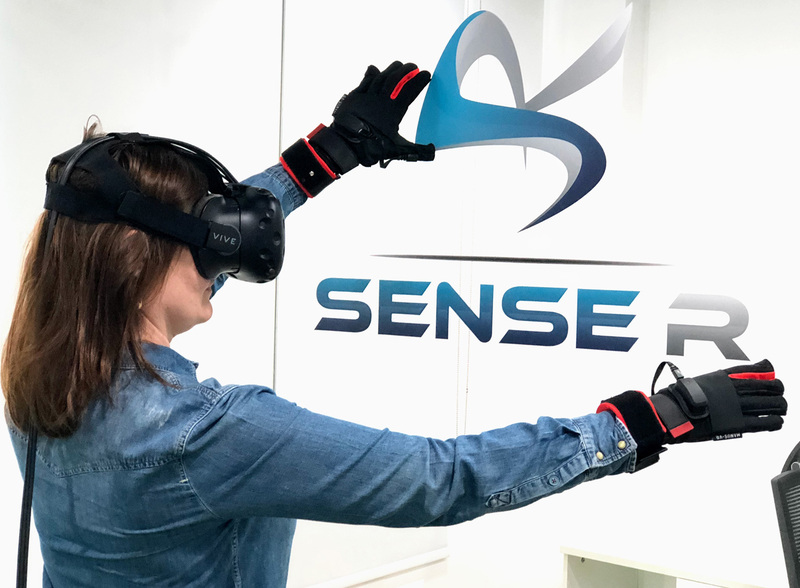 Since 2016, the SENSE-R Team has conceptualised and built Virtual Reality and Augmented Reality projects for a wide variety of industries from Marketing & Branding to Real Estate, Travel and Hospitality, Transportation, Defence, Healthcare, Training and Education. Our multi-national team is always up to date through participating in local and pan-European trainings , workshops , and seminars. We allocate 15% of our annual budget towards R&D and improving practical applications for new VR/ AR and MR technology. We are a Dubai based brand under Reach MENA FZ-LLC with development offices at the European hub of technology, Poland. 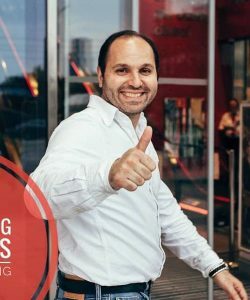 Mazen is the Founder and hands-on Chief Executive Officer of the UAE-based Reach MENA FZ LLC and its VR division, SENSE-R.
Mazen has over a decade of experience in business development, technology, and new media entrepreneurship. He is a distinguished digital entrepreneur and considered as one of the few pioneers starting the digital advertising industry in the MENA region. His passion for everything digital led him to establish Reach MENA’s VR/ AR Development branch in 2016. Capitalizing on the high-quality technological resources available in central Europe, Mazen moved the development office to Poland. (Poland ranks the 4th in the world of top software development countries; Preceding the US and the other EU countries). 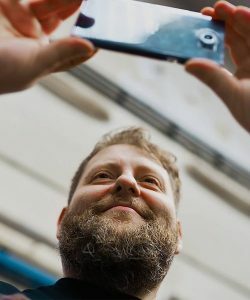 As a successful entrepreneur, Mazen also has a track record of developing and building highly-skilled teams and attracting top talent, such as the distinguished European VR pioneer Tomasz Krisz. He believes working with multinational teams ads the value of global and local expertise to all our operations. With over 15 years of experience in Web Development, Web Design, Coding and Programming, Tomasz is our chief VR guru. Coding away since the dawn of digital, he is in his element when crafting Augmented and Virtual Reality Products as well as Delivering First Class Memorable Entertainment Experiences through Digital Content. Apart from using his magic powers to turn ideas into Virtual Reality, Tomasz splits his time between checking out (and playing) with the latest VR technology and quality time with his young family. Judit is an experienced marketer with a successful record of leading Marketing and Business Development teams and delivering a strategic vision for clients in the Travel, Hospitality, Events and Education sector. 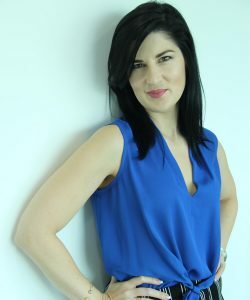 She is a creative thinker with a passion for B2B Marketing and Business Development Strategy. Our go to man for innovative ideas; Usman is in love with cricket, new technologies, and of course his wife and little boy. An MBA graduate, he started his career at NXTTEK Pakistan. 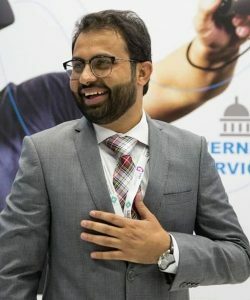 After moving to Reach MENA in 2015, Usman was instrumental in the research, logistics and planning of SENSE-R.
Usman is an avid follower of everything new in VR technology. He is on a mission to help the market learn about VR and to enable brands to communicate with their audience in much more effective way. 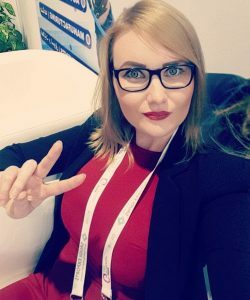 Originally from Ukraine, Lena is our all-around Sales and VR Technology expert. With over 25 different countrie’s entry stamp in her passport, Lena is known for driving 36 tons Fire trucks well over the speed limit; only in Virtual Reality, of course. Lena is a natural at networking and effective teamwork. She spends her free time swimming and looking after her micro-garden. SENSE-R by Reach MENA is a team of passionate tech & marketing professionals utilizing cutting-edge technologies and creativity to bring to the market innovative and unique virtual reality solutions. We specialize in creating customized projects that serve the specific business objectives of organizations. We are experts in developing tailored and unique solutions for marketing and branding, real estate, travel and hospitality, healthcare and education. We also specialize in creating high-quality, standards approved Training Simulators for defense, industrial training and maintenance.